Founded in 2009 by Shevanne Helmer and Maya Persaud, two American women living in Paris, Lotty Dotty offers a line of high-fashion t-shirts featuring screen printed doll figures, that can be dressed interchangeably with Velcro-backed mini-outfits. The new interactive clothing concept allows one to change the look of one’s t-shirt by using 3D detachable parts. 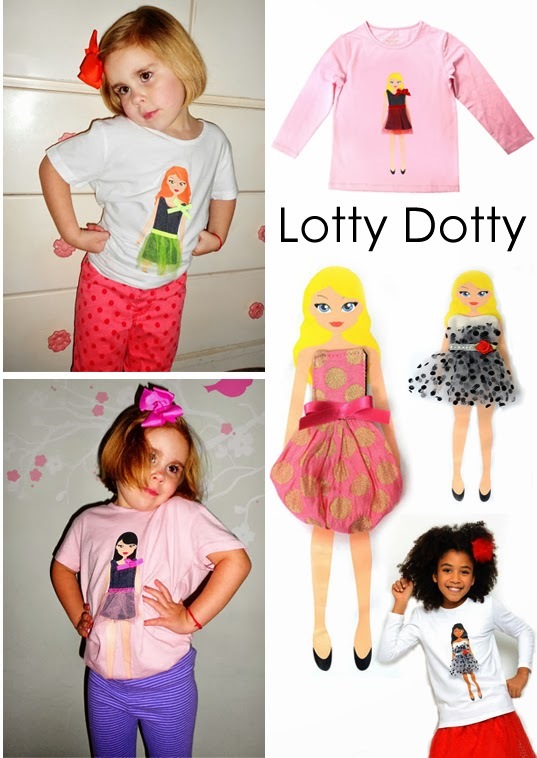 Inspired by childhood memories of playing with paper dolls, Lotty Dotty tees allow children hands on, creative freedom with their outfits. My almost 3.5 year old niece Stella absolutely loves her Lotty Dotty shirts, she loves playing dress up! Also available is a wide range extra mini dresses for every occasion. Check out the Lotty Dotty site today, these tees make for a great holiday gift!